Learn all the basics of quilt making in this five-session class, from rotary cutting, block construction, and borders to quilting and binding. All you need to make this baby or lap quilt is one charm pack and two cuts of fabric. No stress over fabric selection! 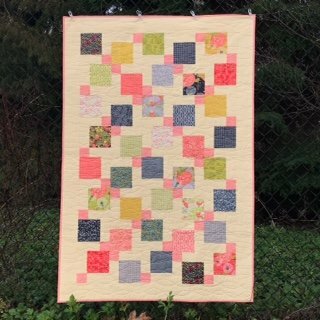 This class is a perfect starting point for those that have never quilted, but also a fun project for those that have more experience! Pattern included.